Please click on images for Hi Res Proportionate image. 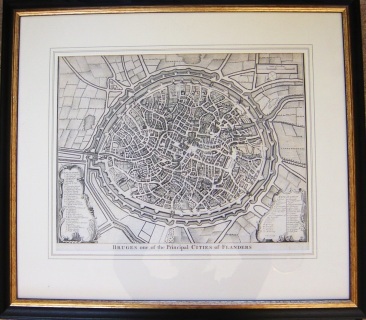 Six very nicely newly framed (matching) city plans which featured in the Duke of Marlborough's campaigns. All with with outlined acid free mounts. 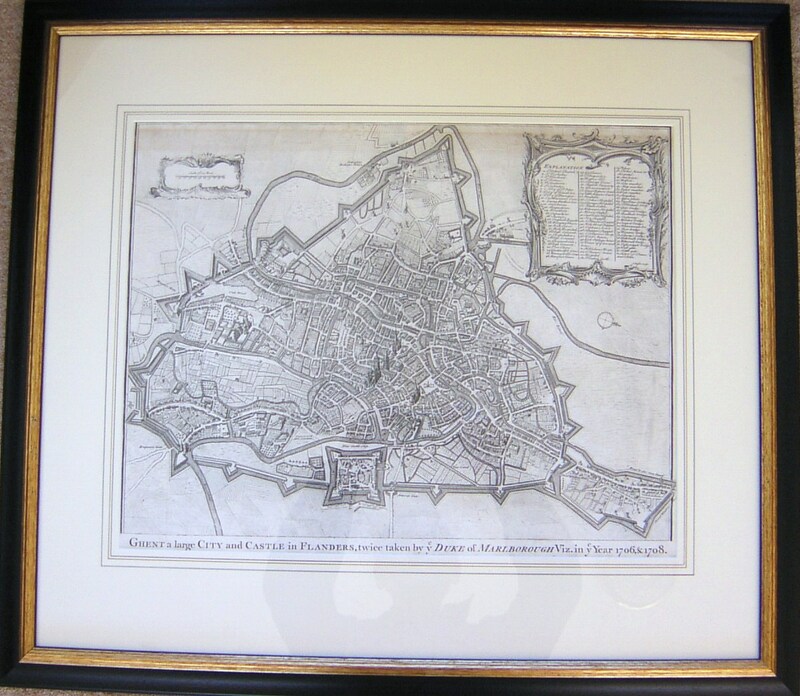 Engraved map. 385 x 480mm (15¼ x 18¾"). 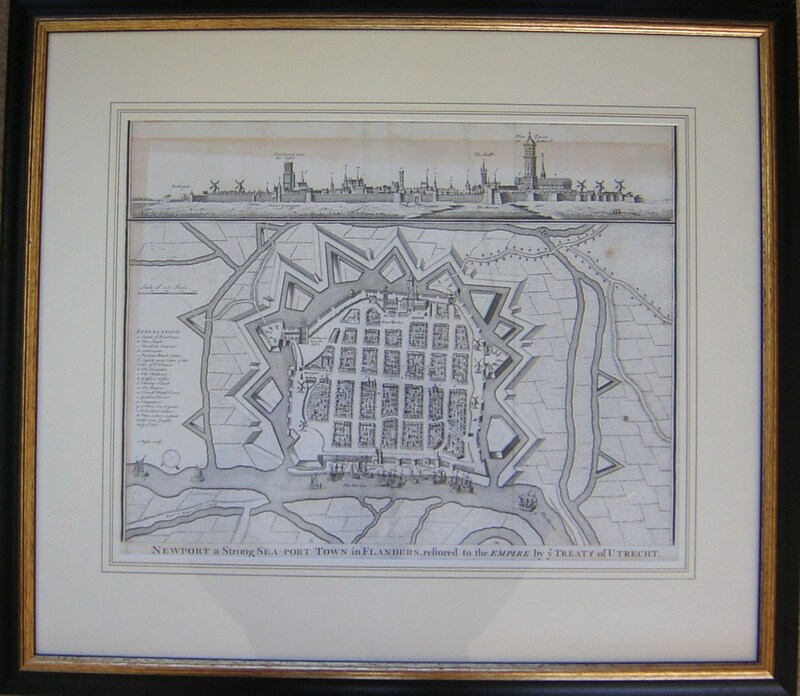 The City of Namur with the Castle and other fortifications RAPIN DE THOYRAS, Paul. Copper engraving. c 1745. Uncoloured. Size: 49.2 x 40.5 cm. In fine condition with normal age toning. 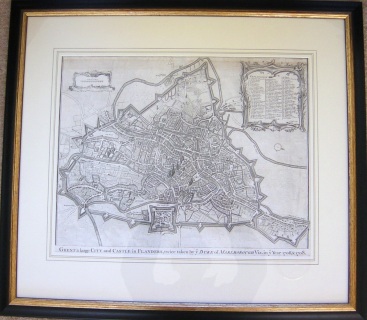 A detailed plan of Namur with a numbered list and an inscription giving a brief history. Very decorative. From Mr Tindal's Continuation of Rapin's History. Copper engraving. Size: 49.5 x 40.5 cm. (19½ x 16 inches) Very good condition. Detailed plan of the city and castle with numbered explanation. 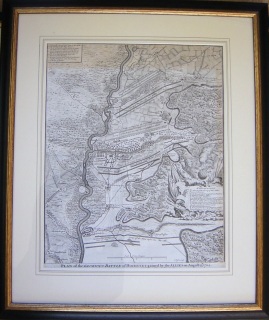 PLAN of the GLORIOUS BATTLE of HOCHSTET, gained by the Allies on August 13th 1704 Battle of Blenheim. Copper engraving. Uncoloured. Size: 39 x 78.5 cm. Good condition, there is a band of age toning at the top of the plan. 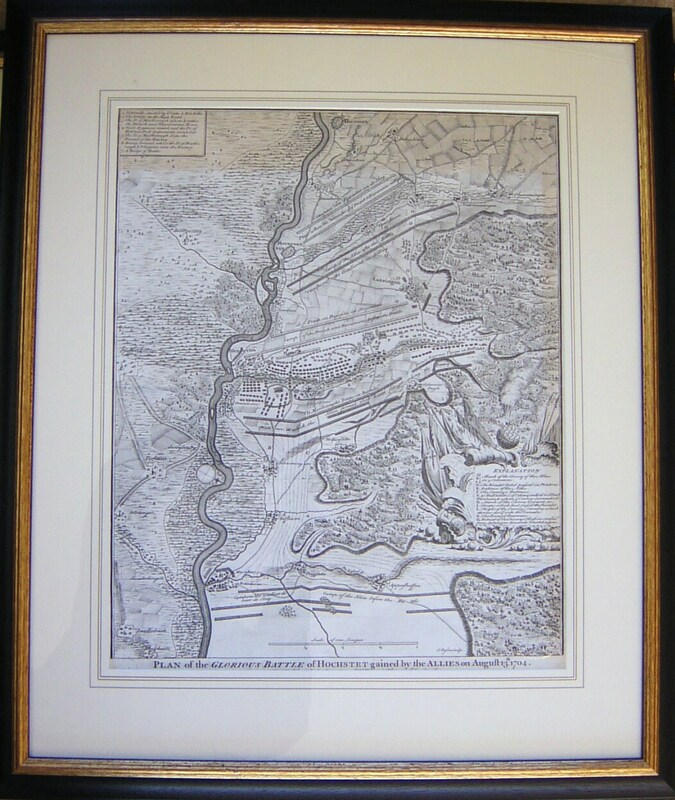 A clear and detailed plan of the battle of Hochstet, better known as the Battle of Blenheim. As a result of his victory here the Duke of Marlborough, John Churchill, was given Blenheim Palace by the nation. ". the most famous victory of John Churchill, 1st Duke of Marlborough, and Eugene of Savoy in the War of the Spanish Succession. It was the first major defeat that the French army suffered in over 50 years." 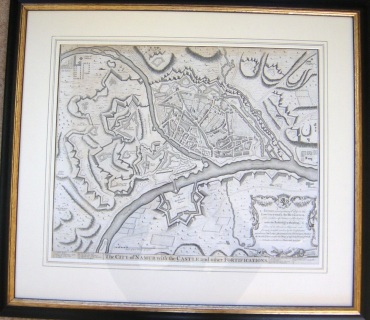 Engraved map. 385 x 480mm (15¼ x 18¾"). Good condition with slight age toning. A plan of Bruges during the War of the Spanish Succession. 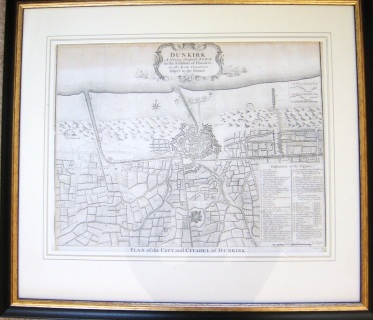 The city was taken from the Austrians in 1706, retaken by the French in 1707 and again by the Allies in 1708. 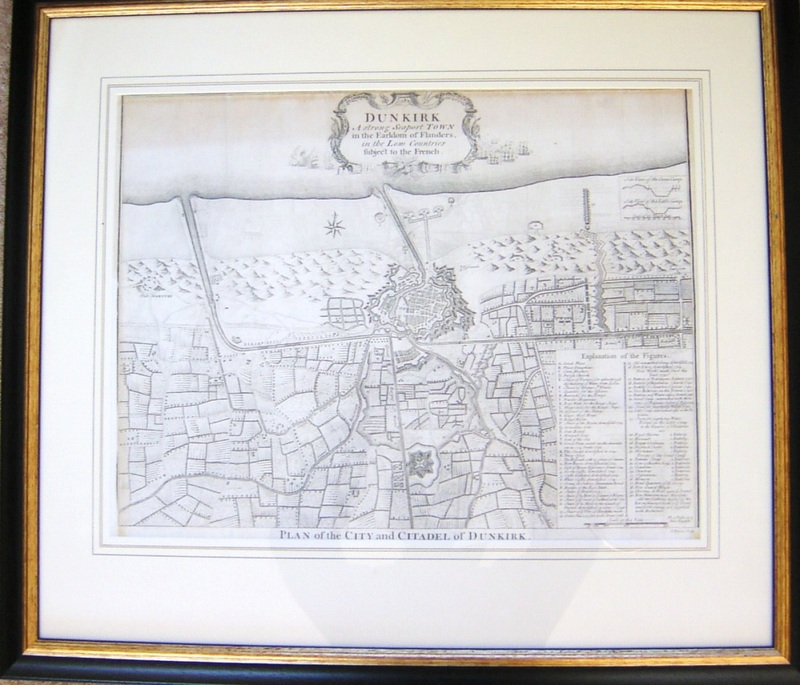 Nicholas Tindal (1687-1774), at one time Chaplain to Greenwich Hospital, first published a translation of Frenchman Paul de Rapin's 'History of England' in 1727, running to thirteen volumes; in 1732 it was enlarged with his own notes and maps. This map was published in 'A summary of Mr Rapin de Thoyras's History of England, and Mr Tindal's Continuation, from the Invasion of Julius Caesar, to the End of the Reign of King George I. 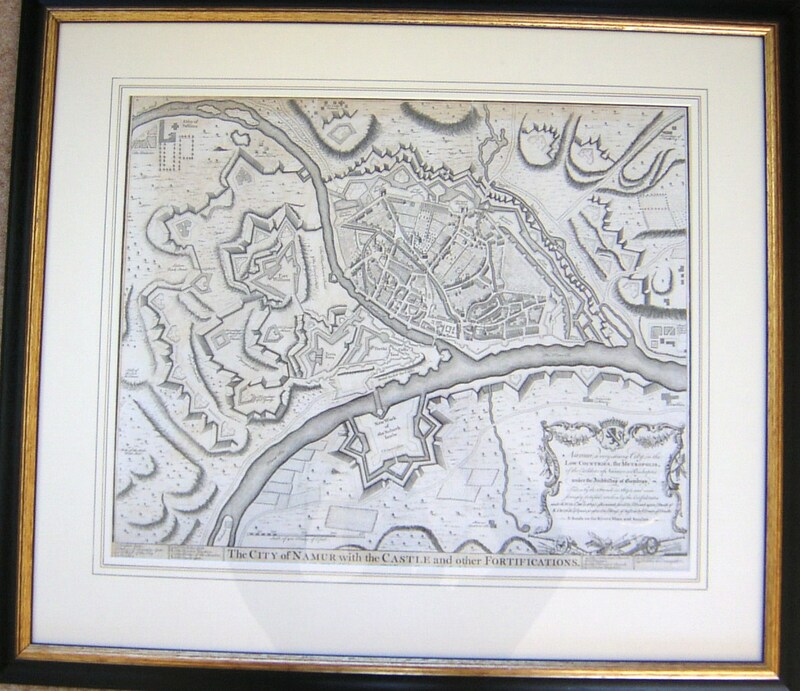 Illustrated With Medals, Plans of Battles, Towns, and Sieges', 1751. Good condition ... with folds. and age toning.